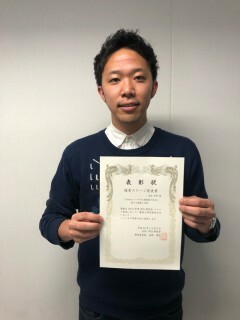 Tomu has received the best stage presentation award to his paper titled “Analysis of personality changes in Twitter user”, which was presented in ARG SIG-WI2 No.11 (Dec. 5-6th, 2017), in the 13th meeting of ARG Special Interest Group of Web Intelligence and Interaction. Only six papers was selected as the stage presentation out of 34 papers presented at SIG-WI2 meetings held in 2017. 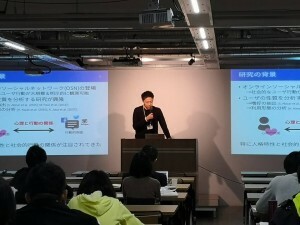 One paper has been selected as the best stage presentation award by the SIG-WI2 evaluation committee.